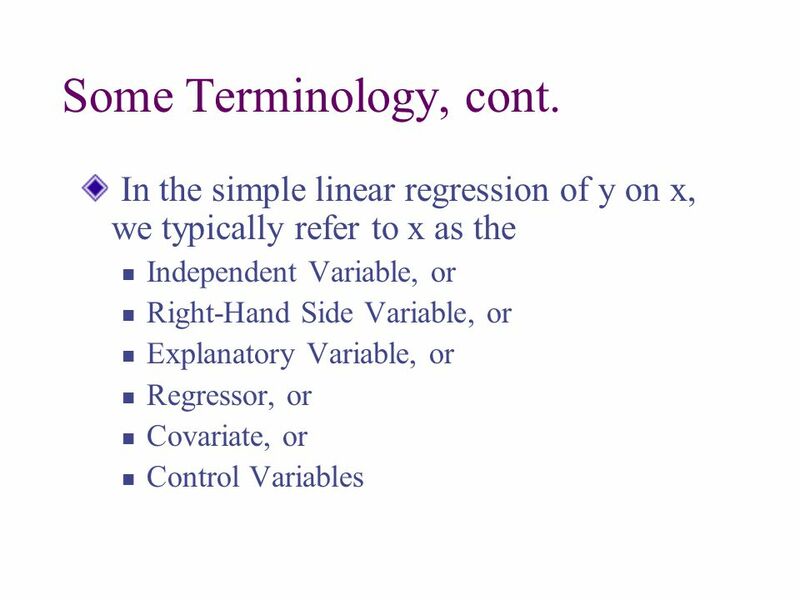 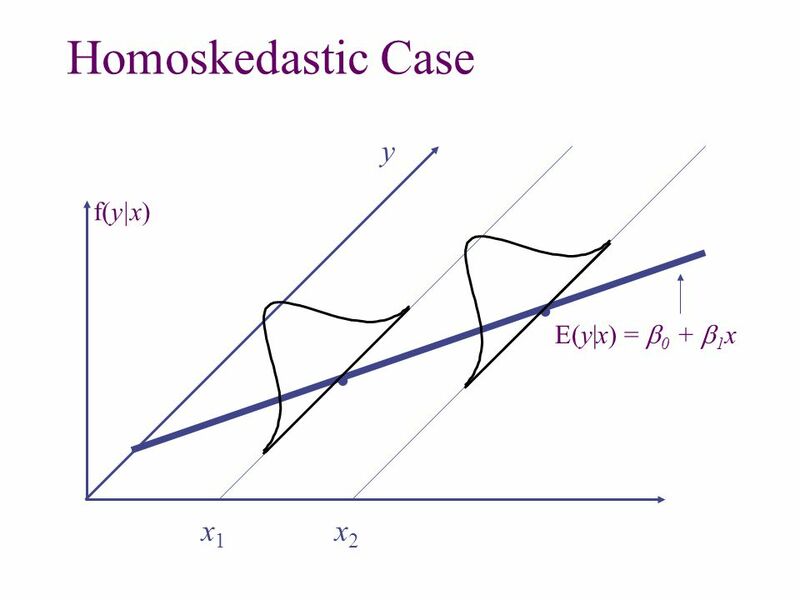 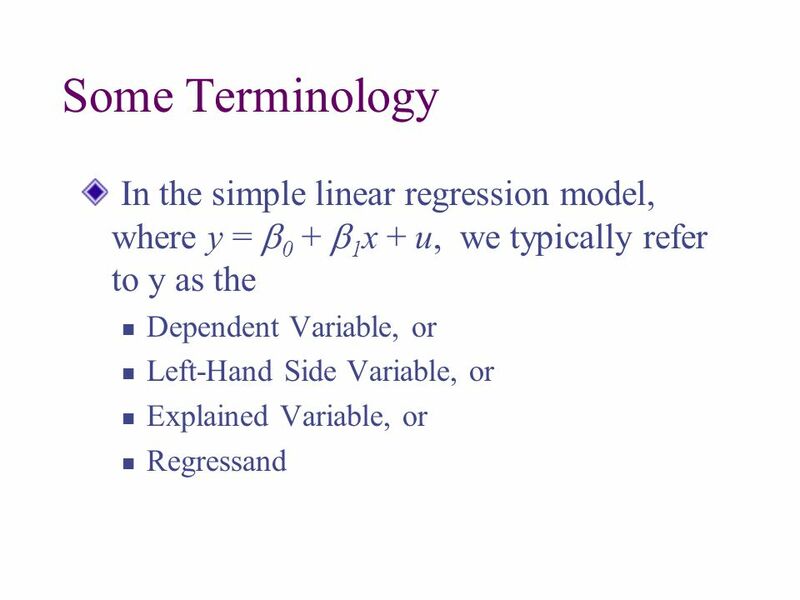 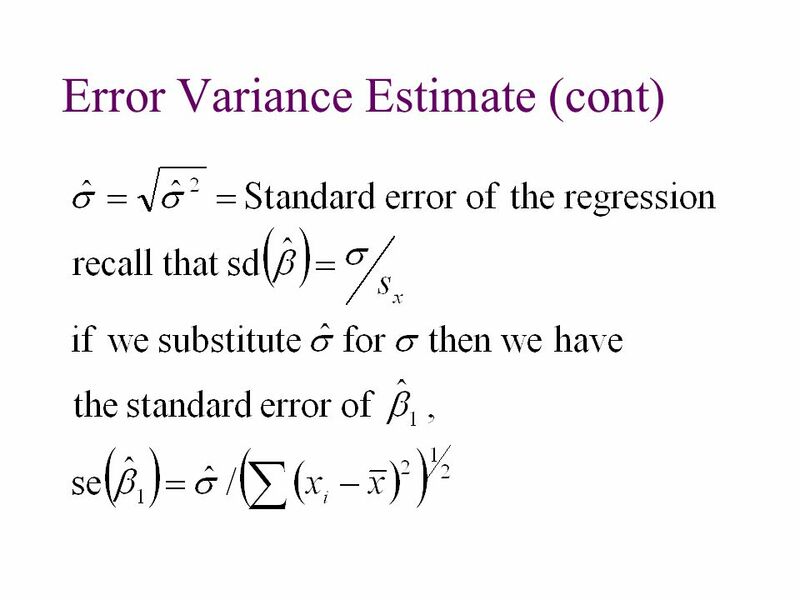 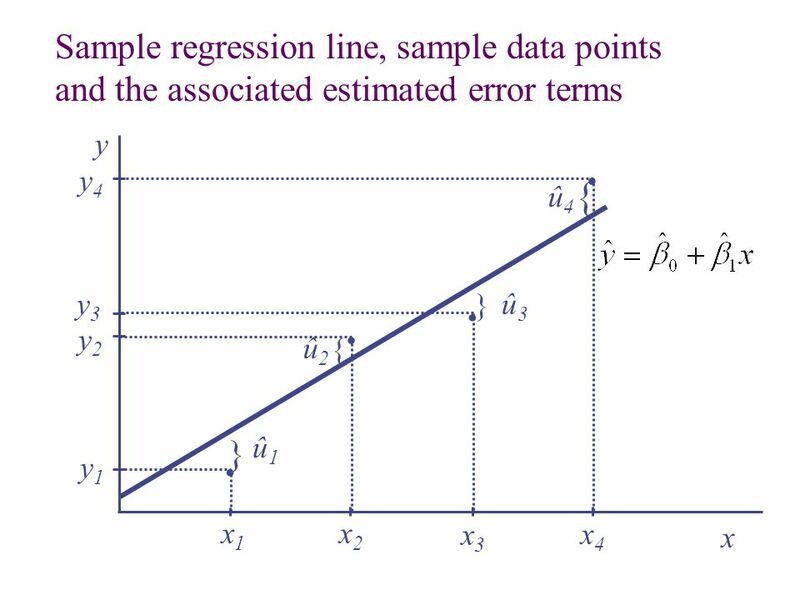 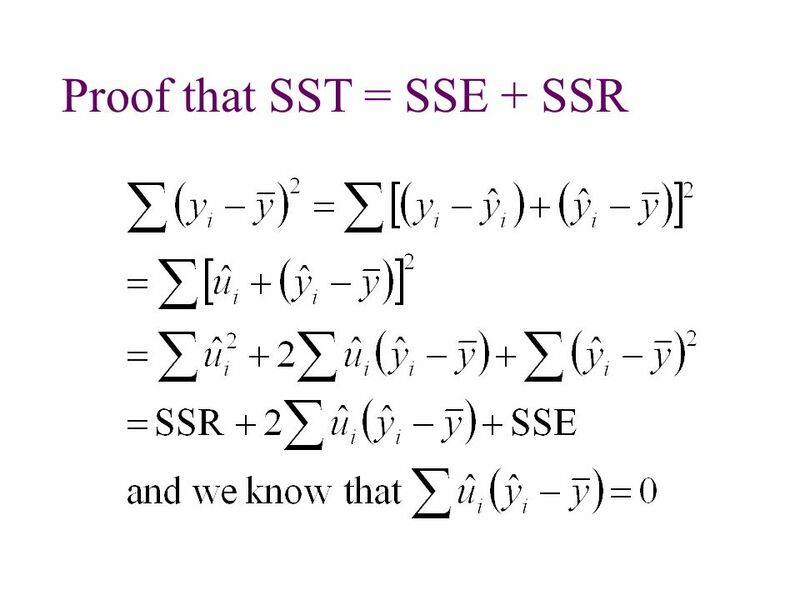 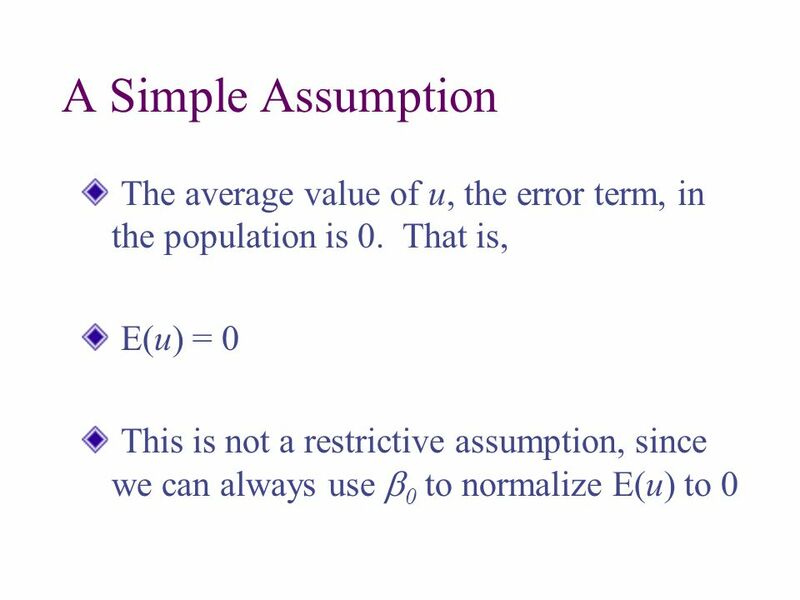 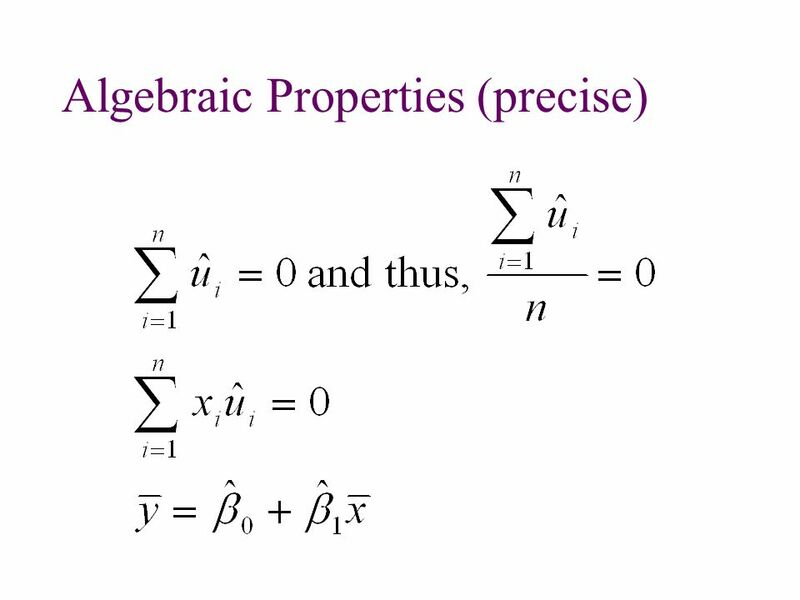 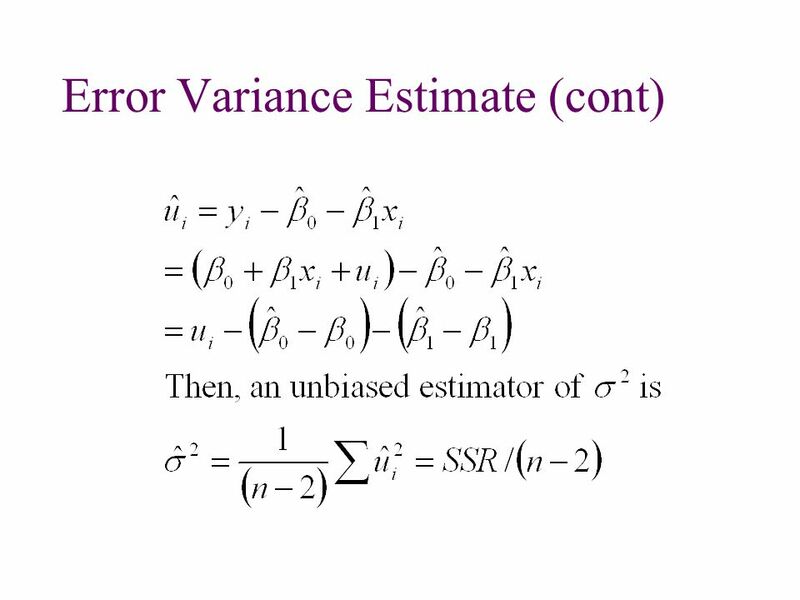 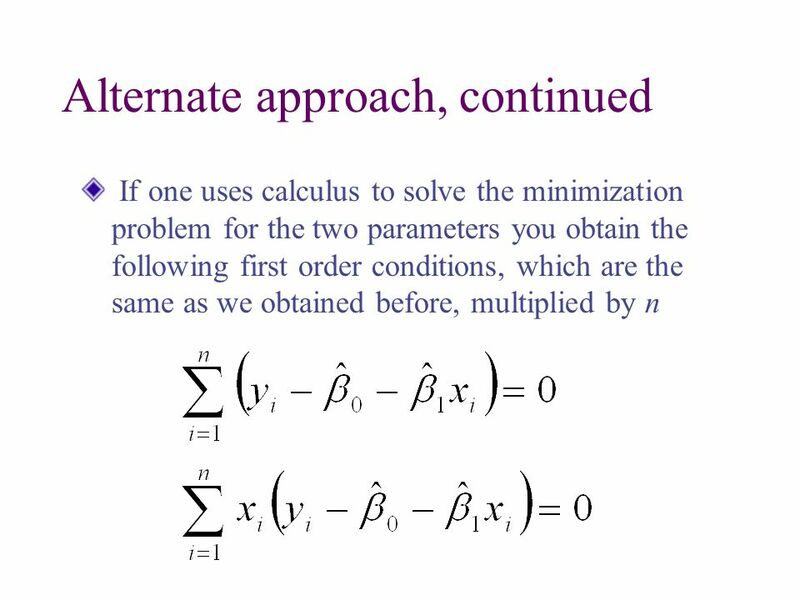 Download ppt "The Simple Regression Model"
Economics 20 - Prof. Anderson1 The Simple Regression Model y =  0 +  1 x + u.
Econ 140 Lecture 81 Classical Regression II Lecture 8. 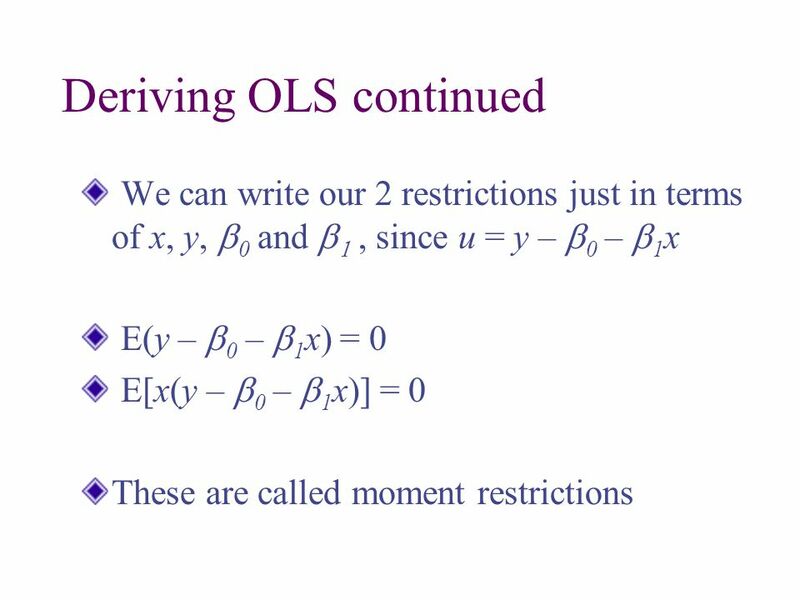 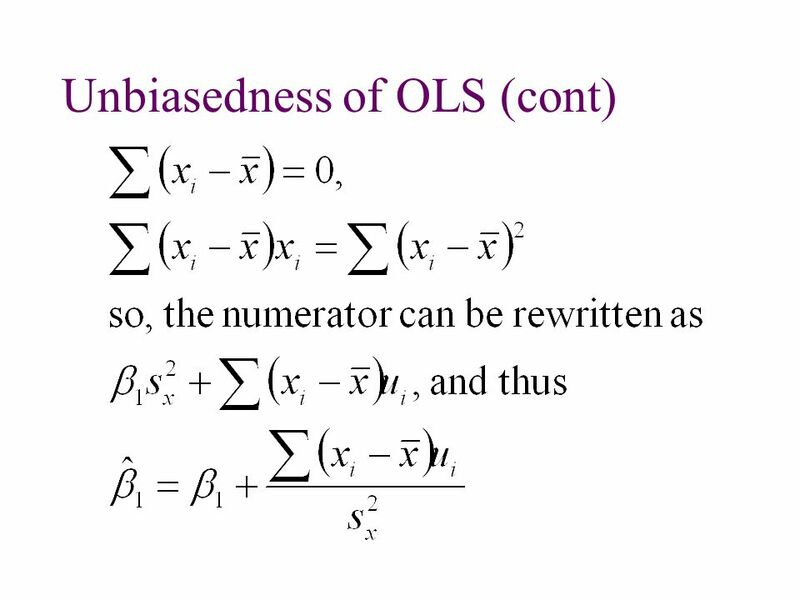 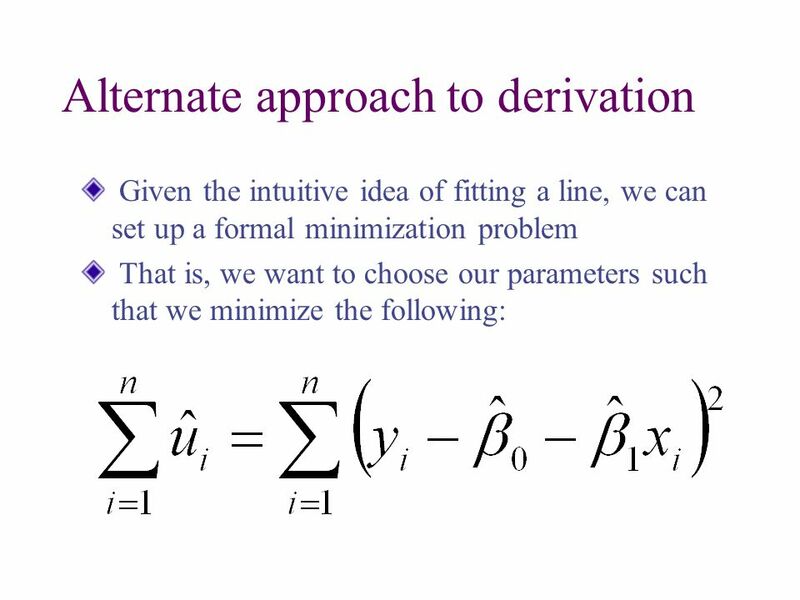 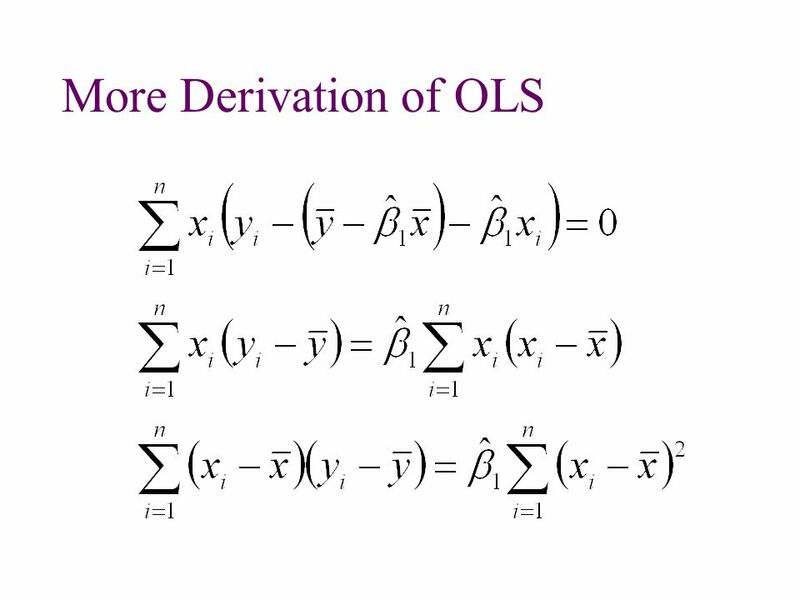 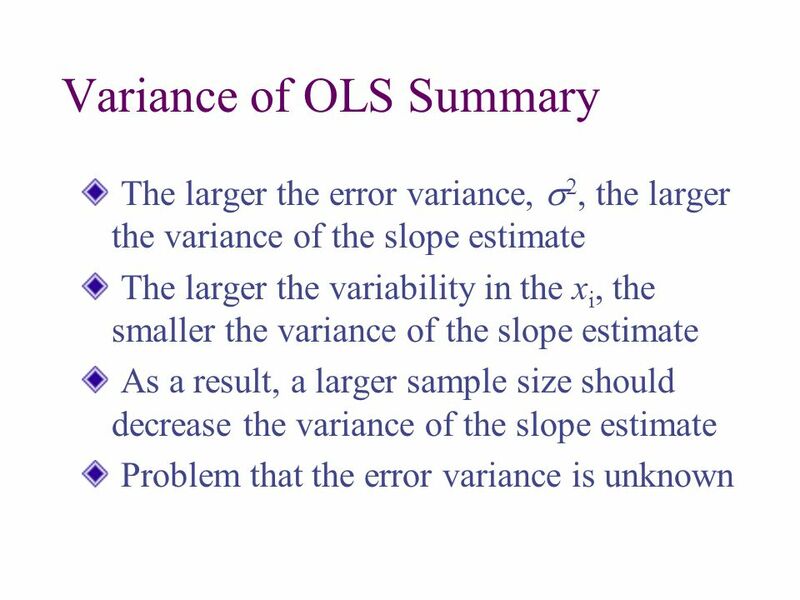 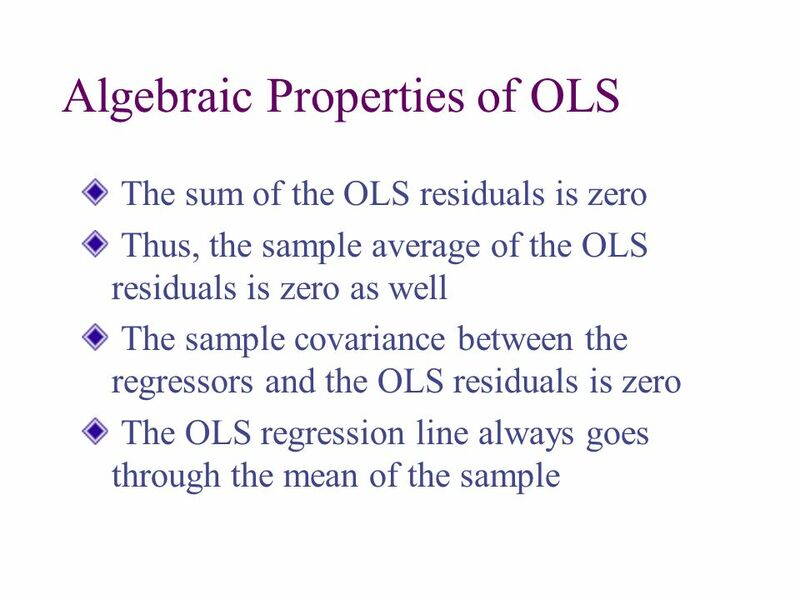 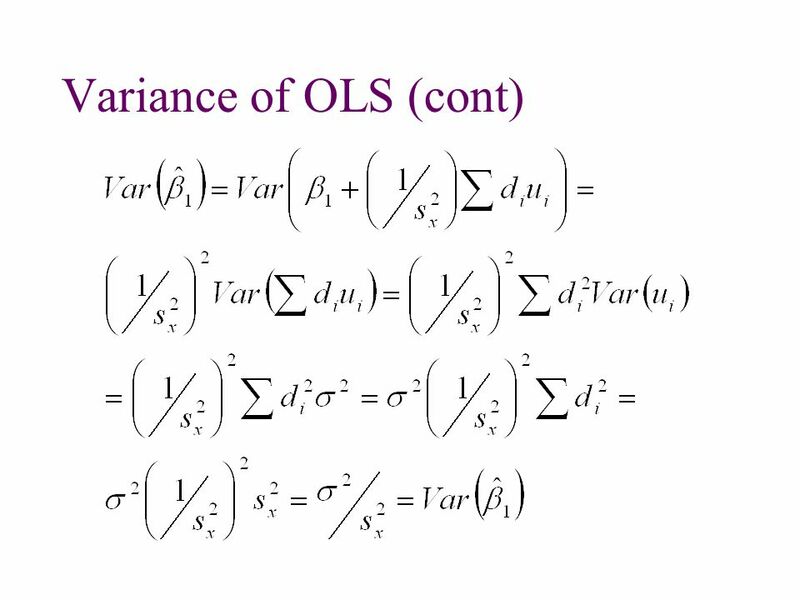 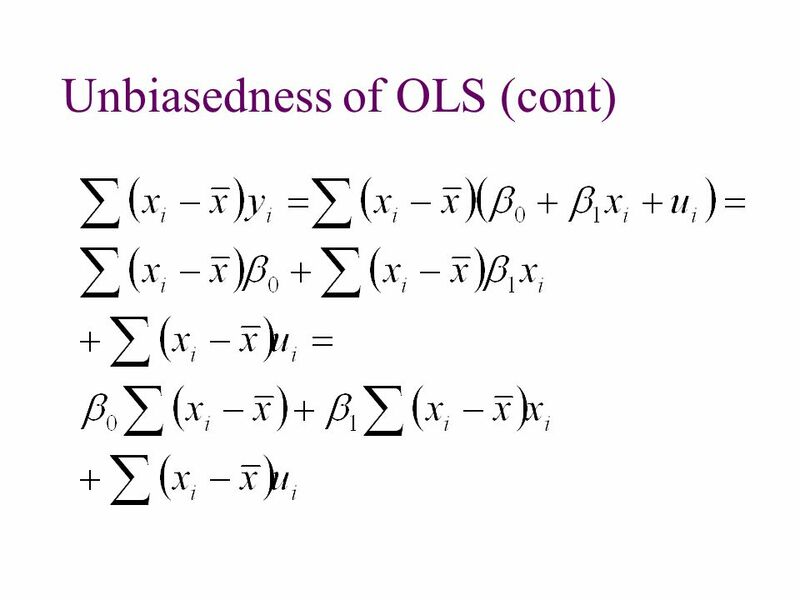 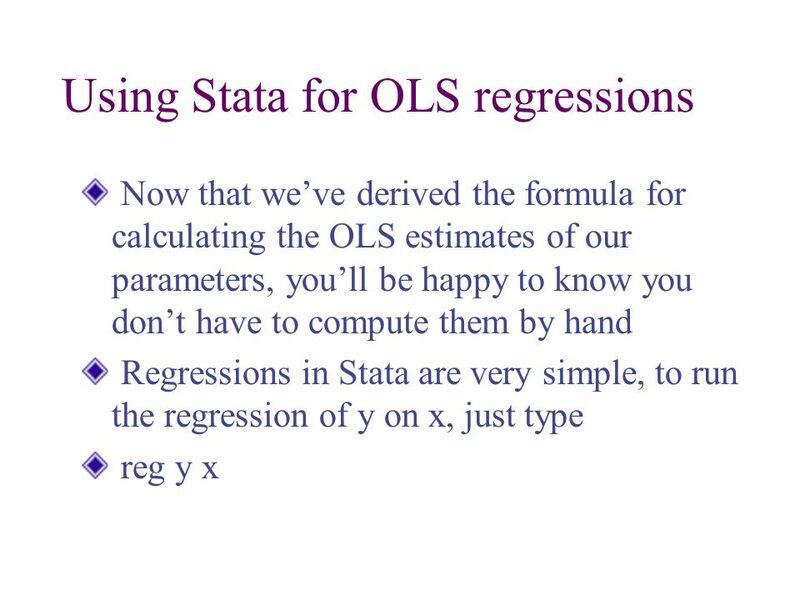 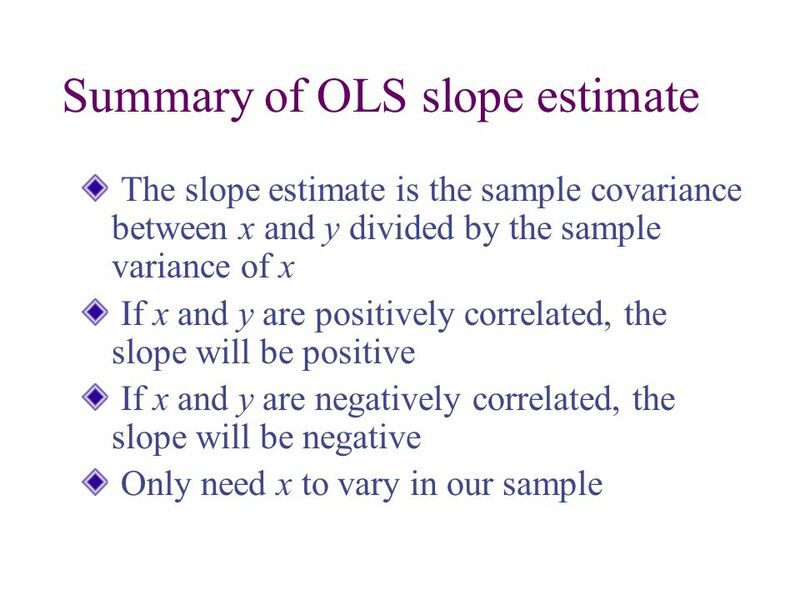 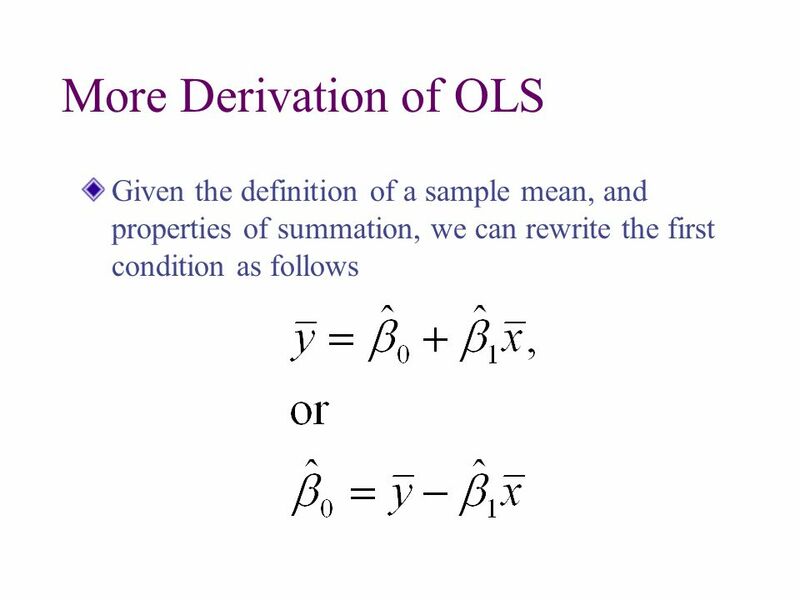 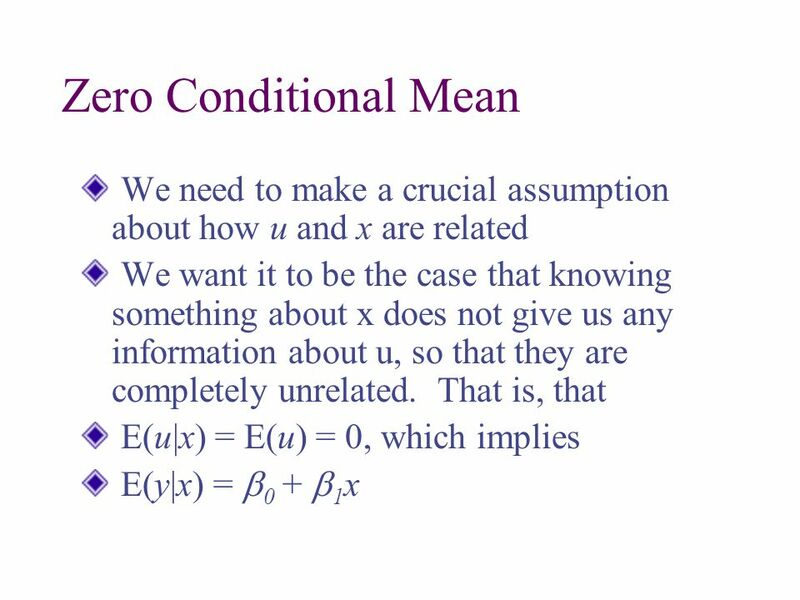 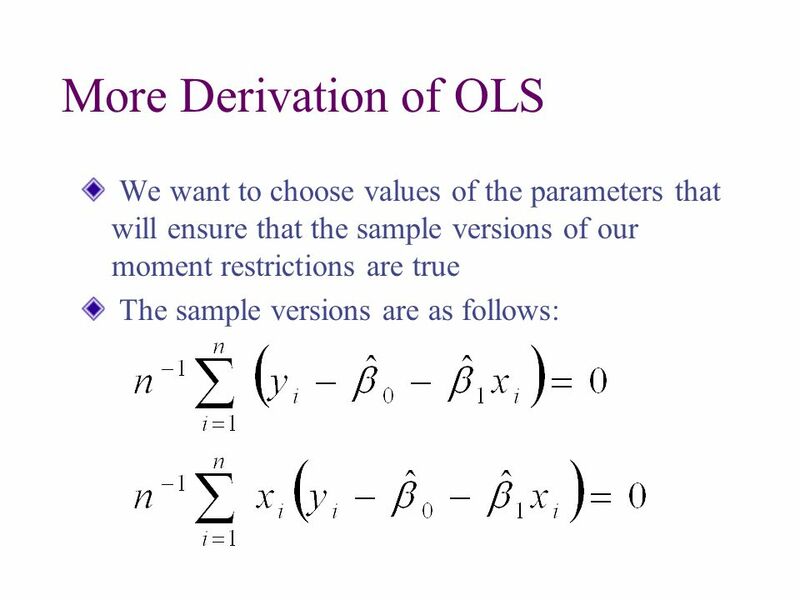 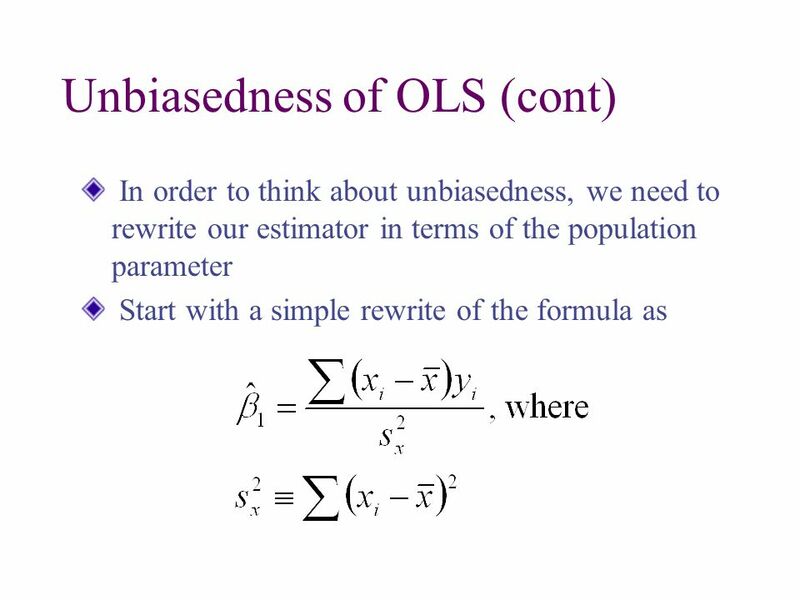 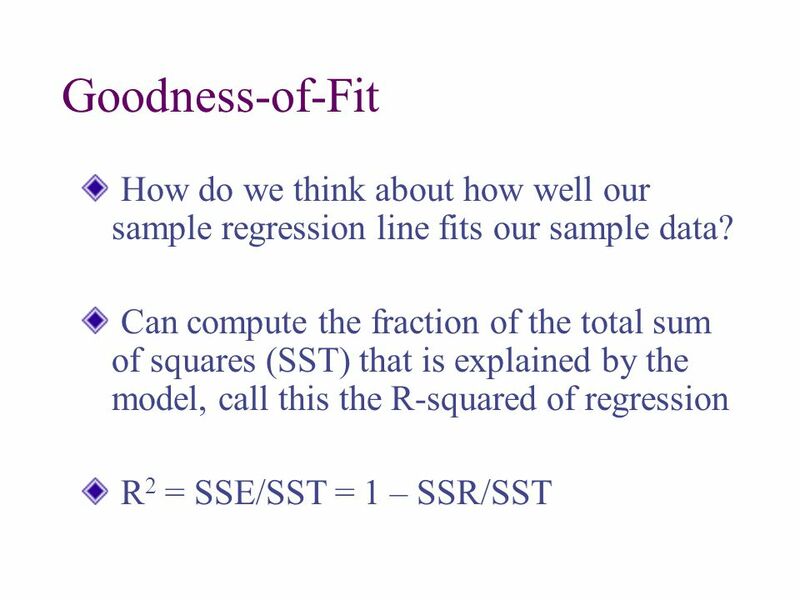 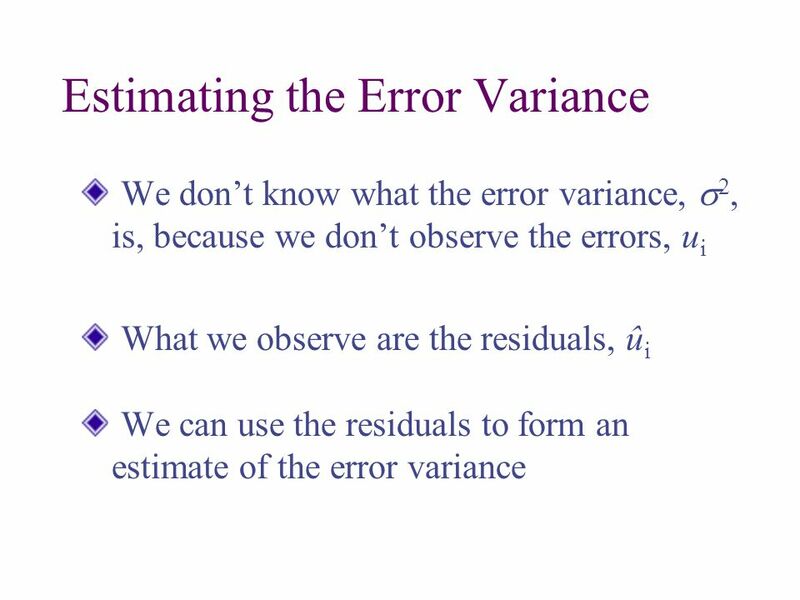 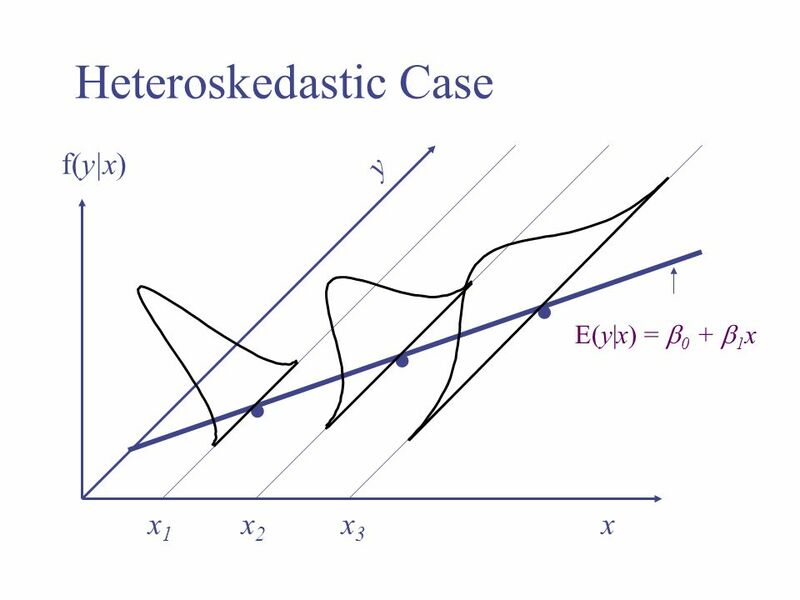 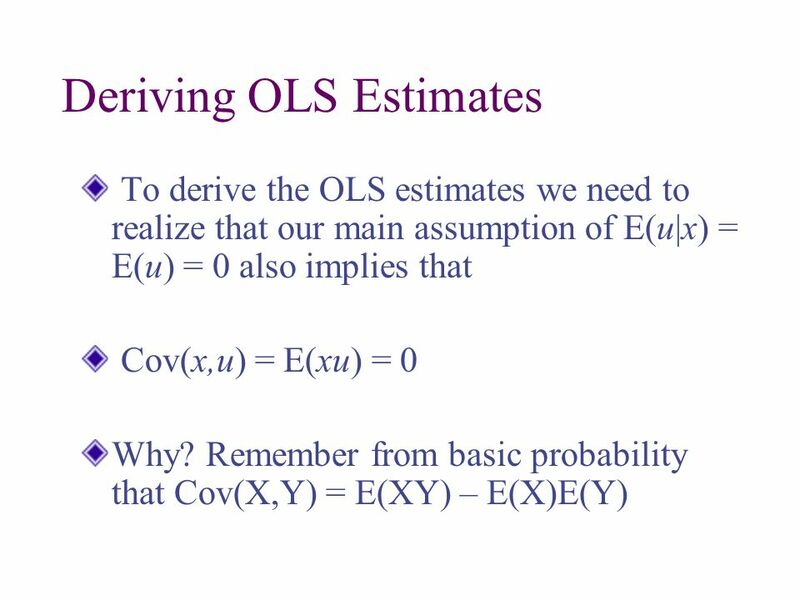 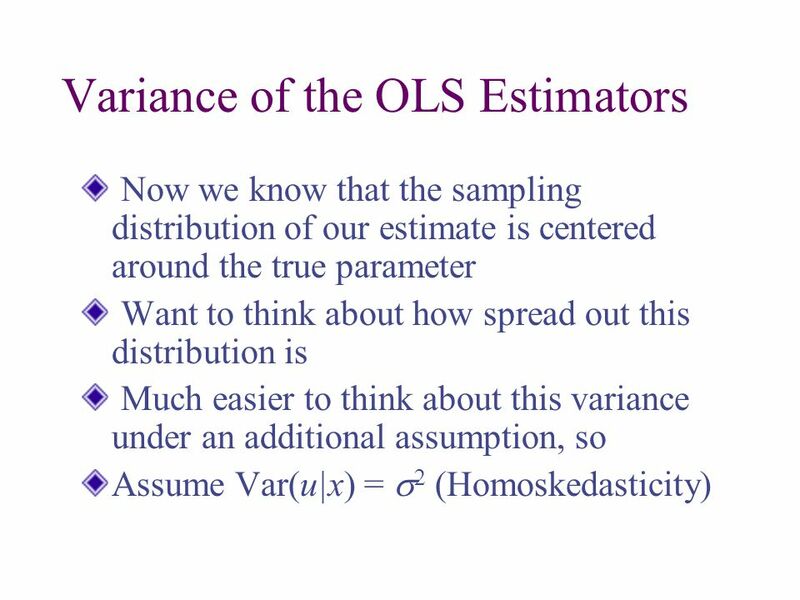 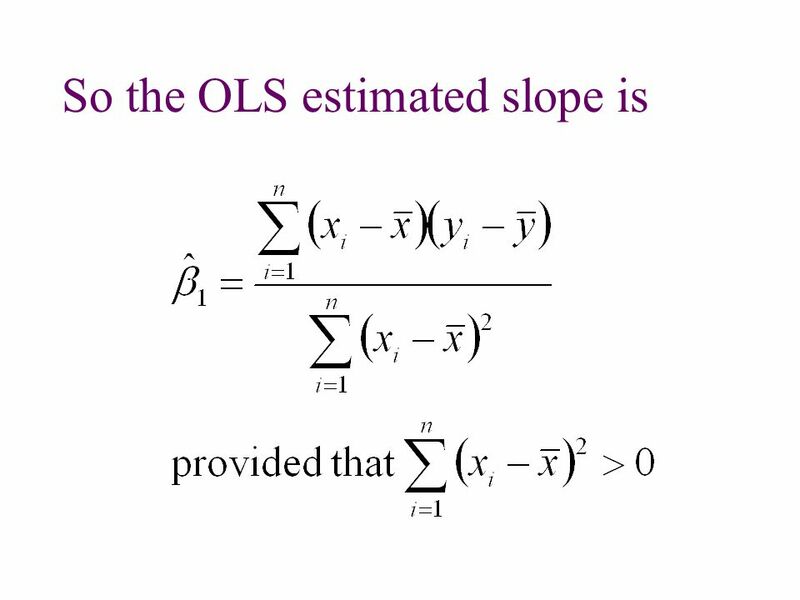 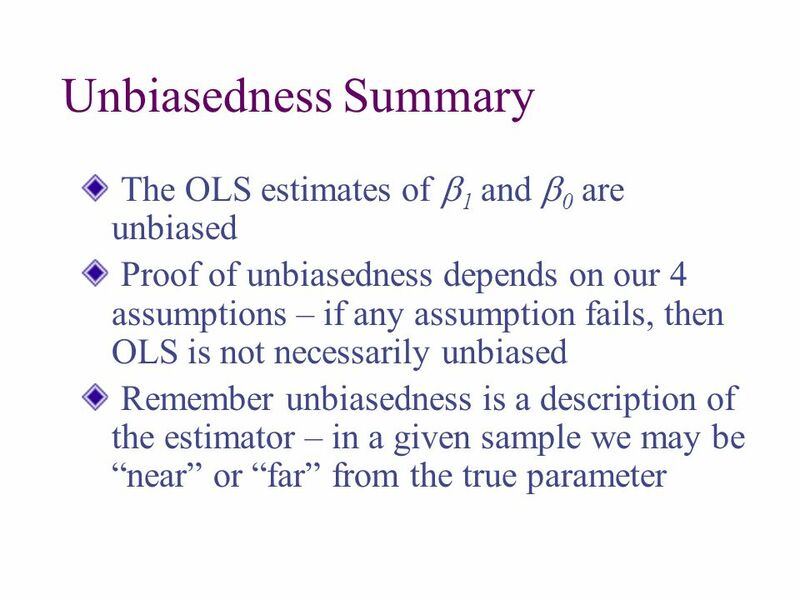 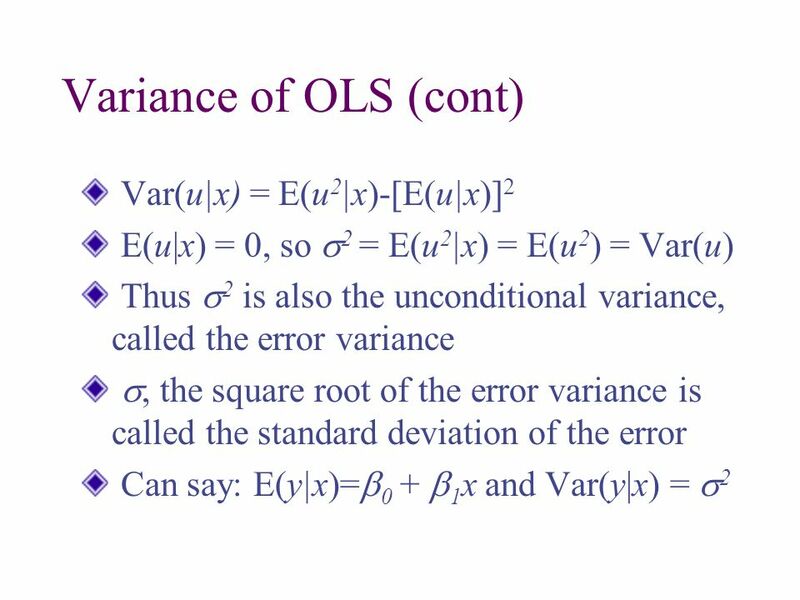 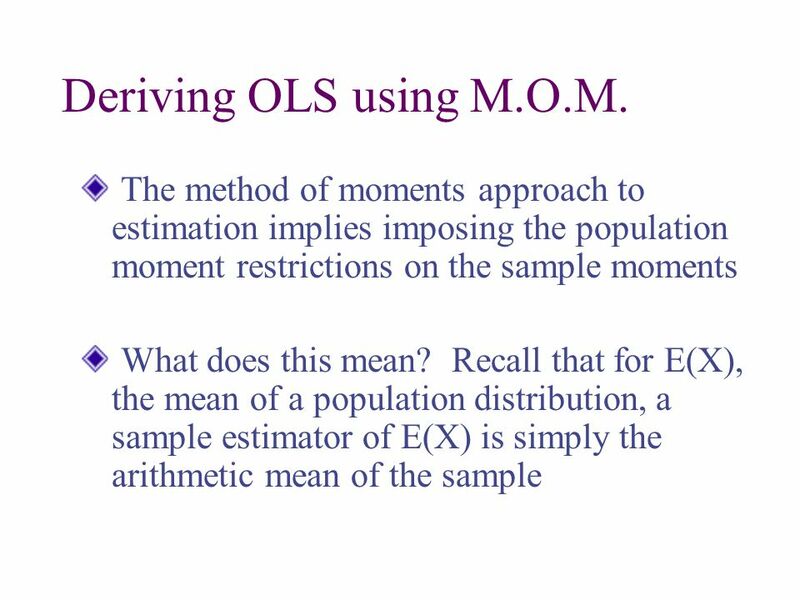 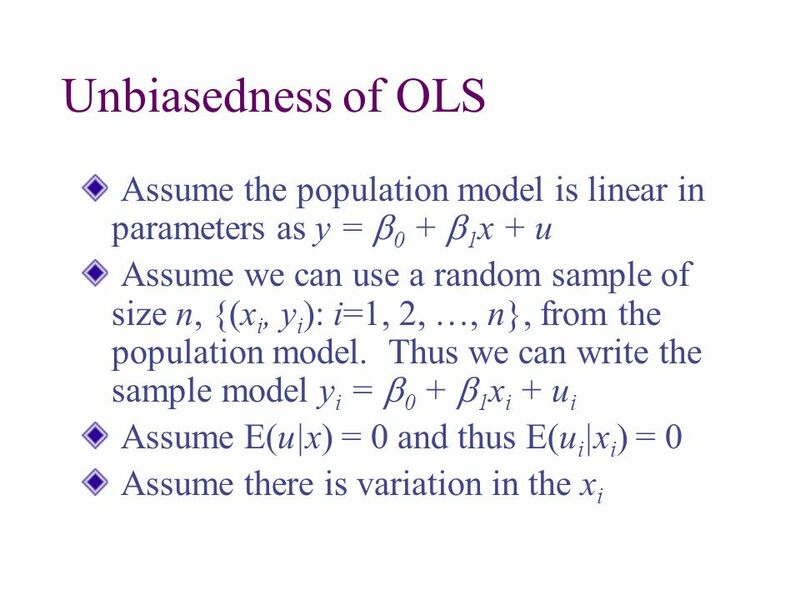 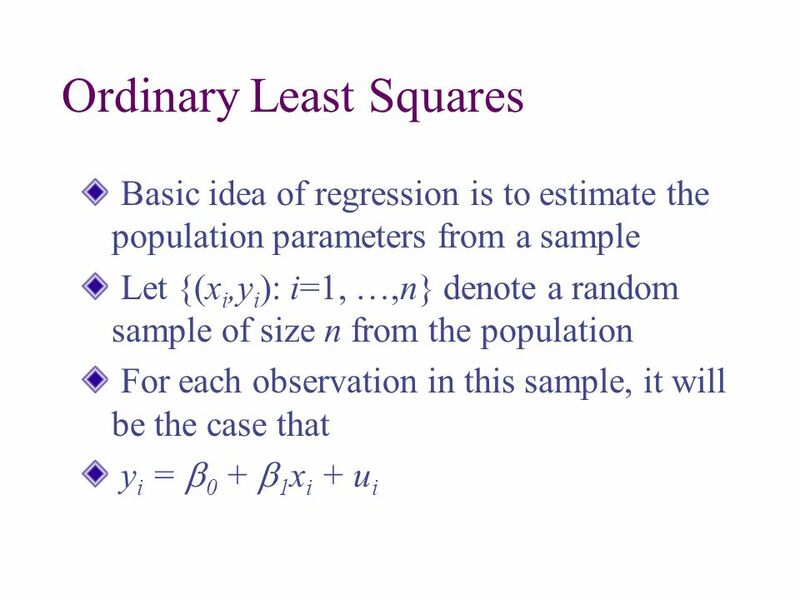 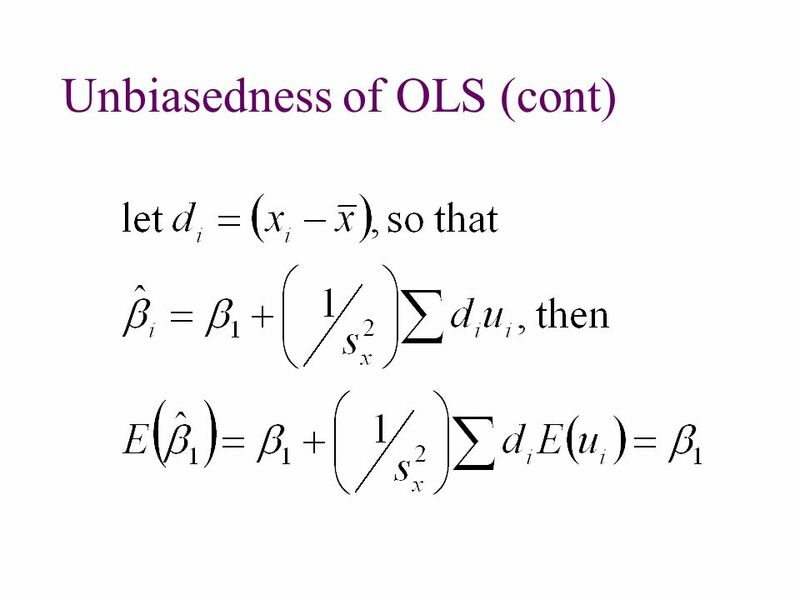 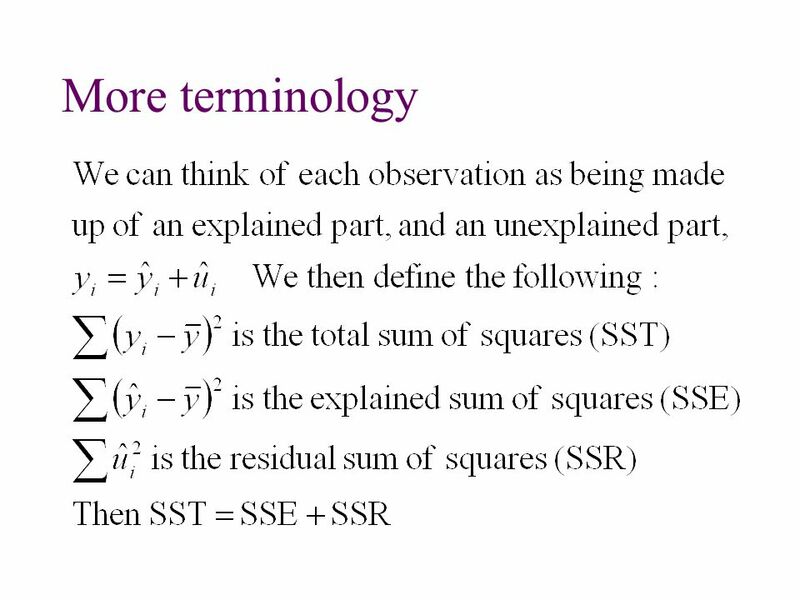 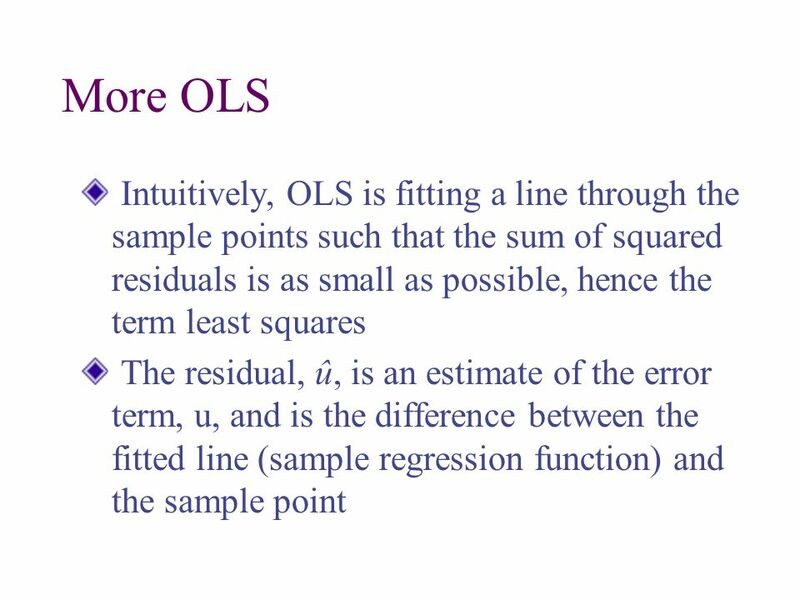 Quantitative Methods 2 Lecture 3 The Simple Linear Regression Model Edmund Malesky, Ph.D., UCSD. 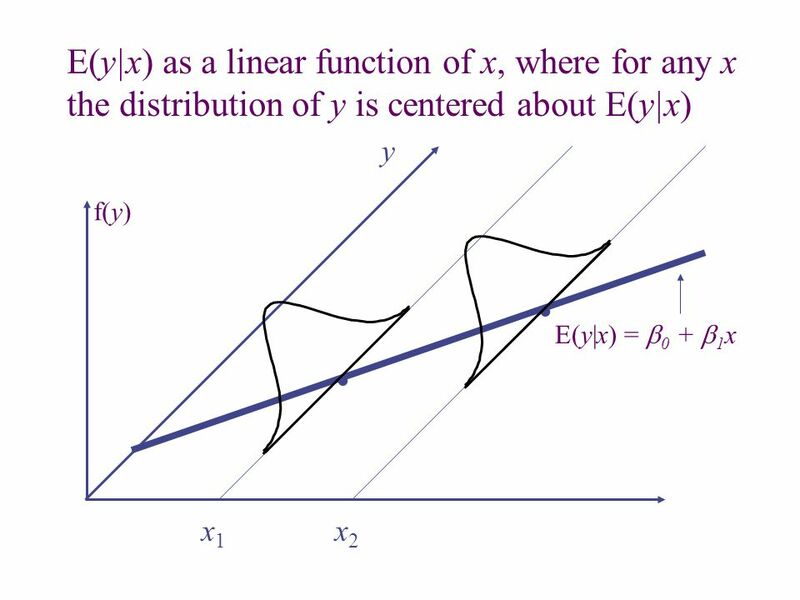 The General Linear Model. 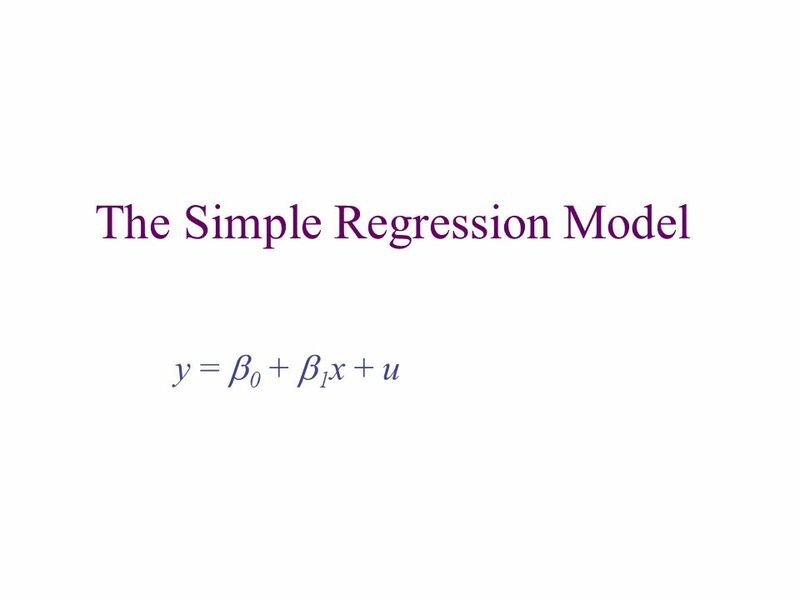 The Simple Linear Model Linear Regression. 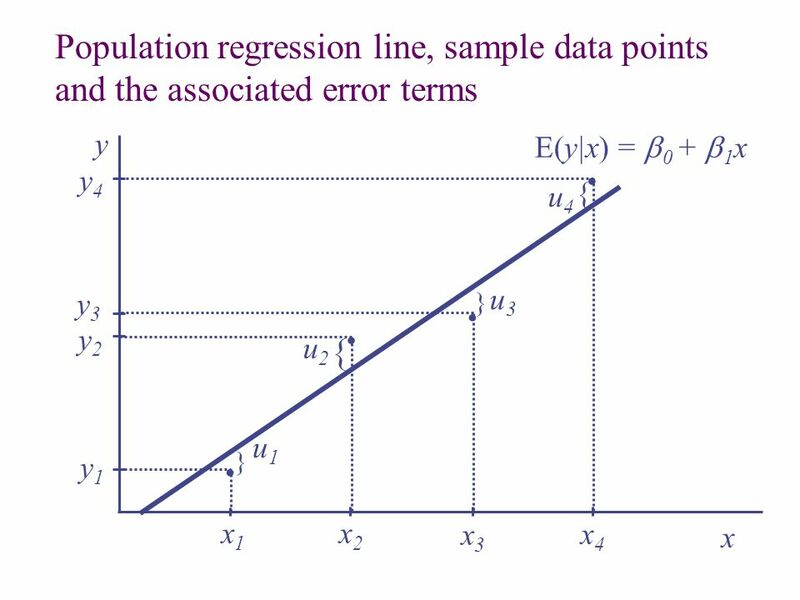 FIN357 Li1 The Simple Regression Model y =  0 +  1 x + u.